May Bank Holiday opening times: “…Charlton Lido & Lifestyle Club will be open 9-5pm on Monday 2nd & Monday 30th May. All Fitness classes between 9-5pm will take place as normal and the Lido will be available 9-4pm”. The cafe – closed back in October last year for refurbishment – is now due to reopen in May. There’s a weekly drop-in swim clinic on Monday nights between 7 and 8pm, with tuition included in the price of a swim. Greenwich Tritons are organising a Clash of the Tritons event taking place at the lido and Hornfair Park on June 5th. You can follow Greenwich Tritons on Twitter here: @greenwichtriton. Adults can get a free swimming lesson on June 25th, sponsored by Speedo. Sign up here. 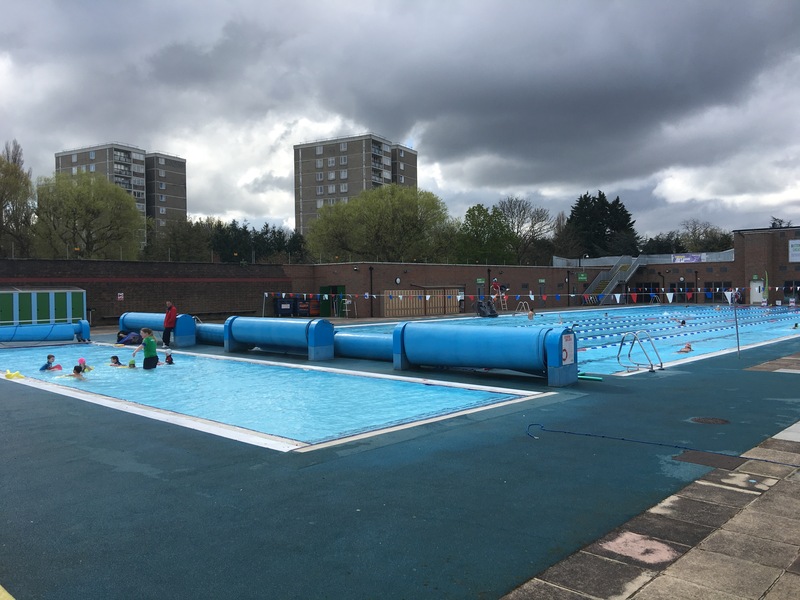 Charlton Lido has a 50m heated outdoor pool, and can be found at Hornfair Park, Shooters Hill Road, London SE18 4LX. Previous Article Ward budgets come to Charlton: What would you fund with £30,000?